New York City – the Big Apple. The place where the Commissioner of the Pleasure Police – Mayor Mike Bloomberg resides. 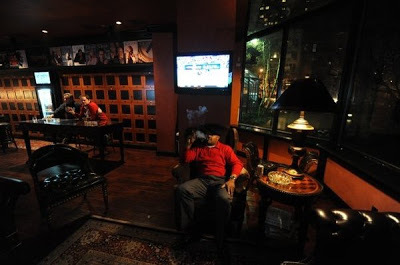 Well, one place that I’m sure we won’t see Mayor Bloomberg welcome is a Cigar Lounge. Despite Bloomberg’s efforts, there are still plenty of good ones. I’ve been to many in Manhattan. Lately I had wanted to try something different, so on the recommendation of several people, I visited the Cigar Inn on 2nd Avenue in Manhattan. I also figured this was the perfect place to enjoy a cigar after eating a steak at Del Frisco’s. What I discovered was nothing short of a home run – this may be the new place where the Cigar Coop will be seen at on New York visits. 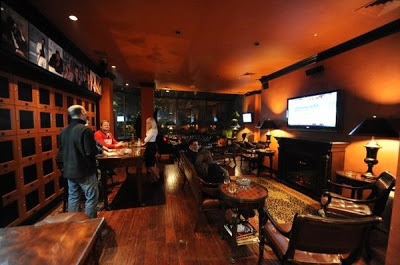 Cigar Inn has two locations in Manhattan- one on 2nd Avenue in Midtown East, Manhattan while the other is on the Upper East Side, Manhattan on 1st Avenue. As mentioned I took a visit to the 2nd Avenue location. Note the photos that are here were posted on Yelp.com. I did not have proper lighting to take photos. As always, I take a look at the store and I tend to look at the three main components of any tobacconist – the humidor, the retail store and the smoking room. First up the humidor. It is a nice sized one. There is a pretty good selection of cigars in the humidor, although I did think the selection could have used some more boutique/Indie cigars. When I look at any retailer’s humidor, I look for the cigars that the retailer will partner with. The key brands that I saw here were Padron, Miami Cigars, Davidoff, Casa Magna (Fonseca), and Perdomo. I also noticed Fuente, General, Altadis, CAO, and Camacho also had a footprint in the humidor. It was a well-stocked humidor – and in fact it was a little tight to move around in. 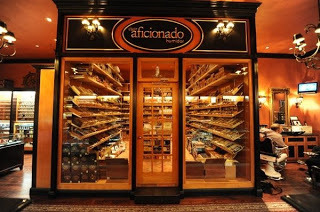 You will also notice in the picture below that the humidor has a sponsor – Cigar Aficionado. These guys have a major presence in the store as this pretty much is a “Cigar Aficionado” lounge. The prices of the cigars are not cheap, but this is New York City, no place is really going to provide bargain shopping for cigars. The store is pretty interesting. It is a long and narrow walk through the store. The store is immaculately clean. There is a large selection of cigar accessories and pipes in the store. They also carry some men’s colognes in the store. 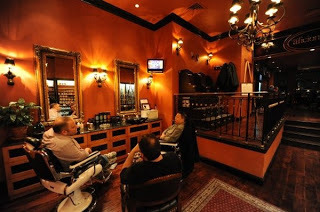 But perhaps the most striking feature are some of the amenities that are offered in the store – namely the barber shop and shoe shine. This is really cool stuff. Three also was some seating in the retail store to enjoy a smoke on top of the large seating lounge in the back. The lounge was simply awesome. It was one of the best I have seen anywhere in New York City outside of a private club. The back is loaded with leather chairs, couches, tables, and chairs. There are two flat screen televisions – they aren’t huge televisions, but they still are good. One of the televisions is over a fireplace. I arrived for Monday Night Football between the Eagles and the Redskins and the place was packed. In the back of the lounge, there is a large greenhouse window with a view into some horticulture in the backyard of the store. There is a wall of about 95 lockers on the left. Above the lockers there are pictures of Cigar Aficionado covers. You can order soft drinks there and there are hostesses to serve you (NYC in its nanny-state politics is not going to allow alcohol to be served there). Hostess staff was a little short on Monday night for the football crowd. Overall, this place simply rocked. I go up to New York on business a few times a year, so I’m looking forward to going back there. I look forward to visiting the 1st Avenue store on my next visit. I’ve posted some information on both stores below. One nice thing to note are the long and late hours this store is open – even on Sundays. Even in New York City, many of the tobacco stores still close early, so this was a treat. 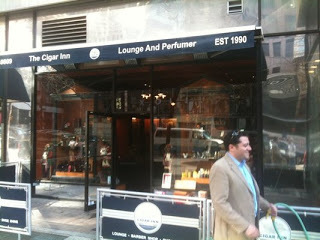 Any Cigar Enthusiast who is on the island of Manhattan should make a point in visiting this place!